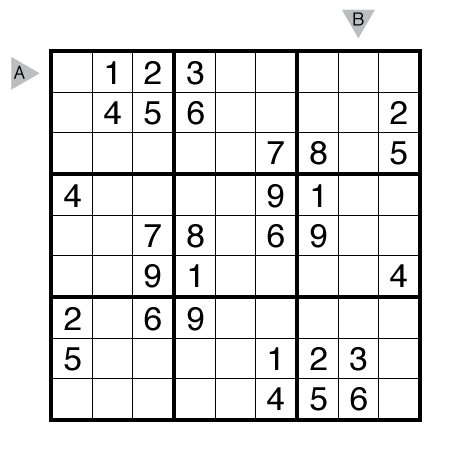 Author/Opus: This is the 284th puzzle from Thomas Snyder, aka Dr. Sudoku. 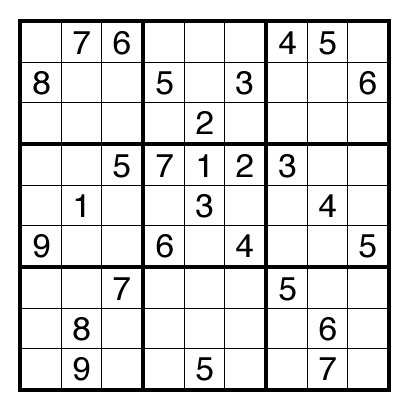 Author/Opus: This is the 282nd puzzle from Thomas Snyder, aka Dr. Sudoku. 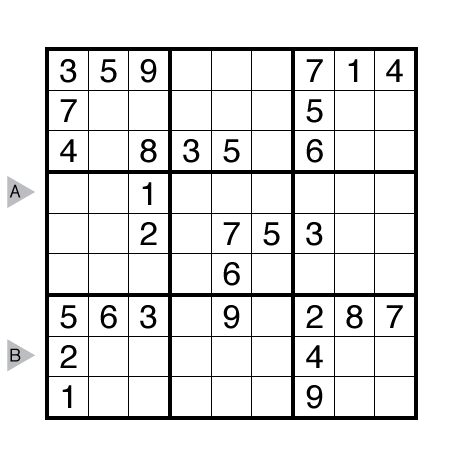 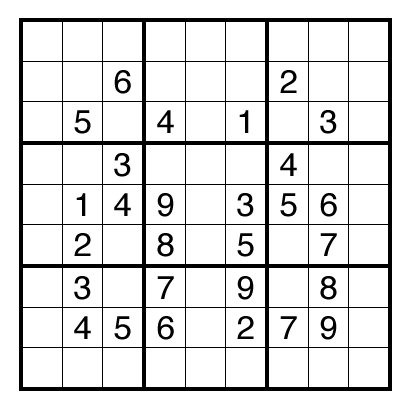 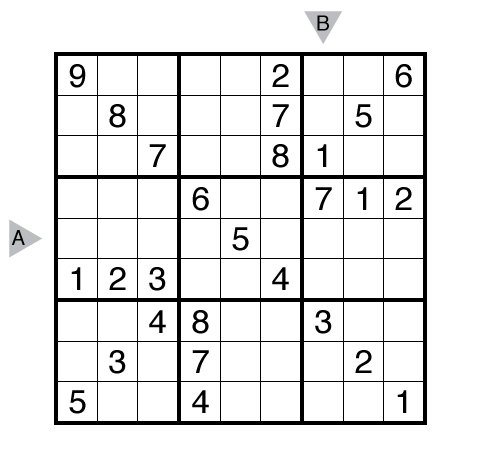 Author/Opus: This is the 281st puzzle from Thomas Snyder, aka Dr. Sudoku. 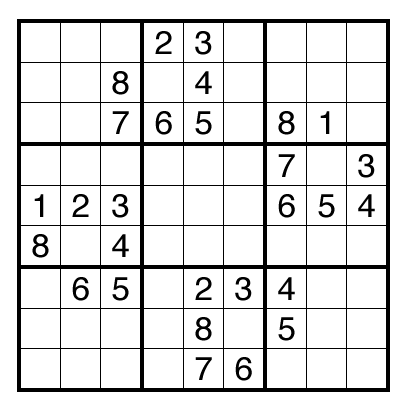 Author/Opus: This is the 258th puzzle from Thomas Snyder, aka Dr. Sudoku. 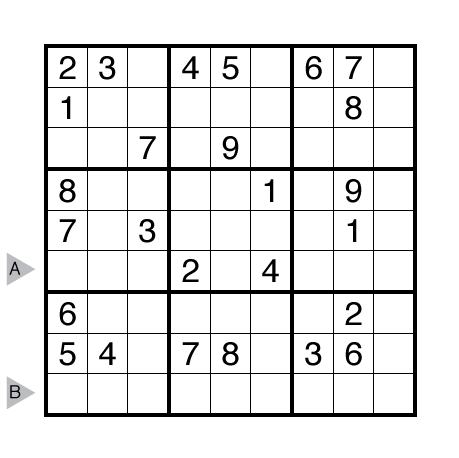 Answer String: Enter the 6th row from left to right, followed by a comma, followed by the 9th row from left to right.